Just what you need to start your AR15 30 round magazine collection! 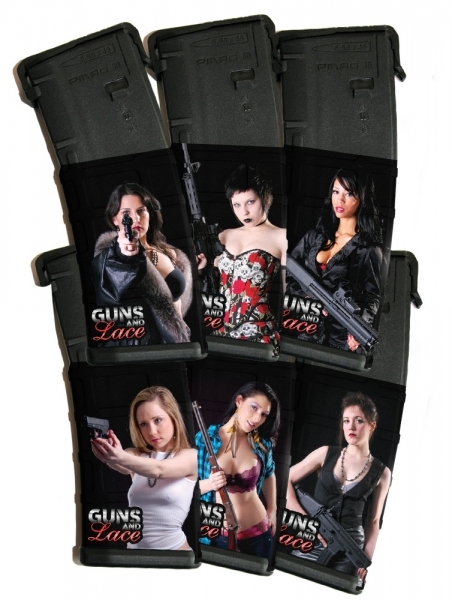 The first 6 Guns and Lace Girls from the 2012 season their own individual AR15 mags! Load 'em up and get ready for the next Zombie Apocalypse! Buy the set of 6 and you Save!